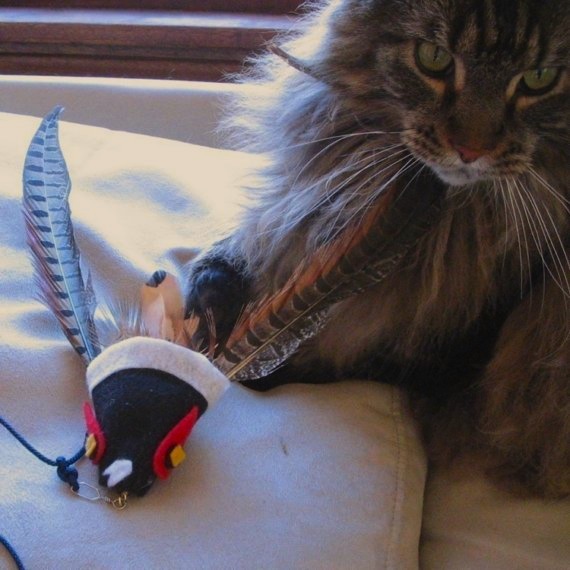 Make your own feather spinner cat toy similar to the Da Bird cat toy. The tutorial shows you what to do. You can make it as simple or elaborate as you like. Be sure to pay special attention to the instructions in Step #5 on the placement of the larger feathers to insure the toy spins.